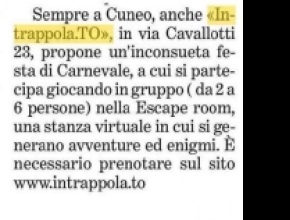 La Stampa - Intrappola.to a Carnevale è divertimento puro! The best Escape Room Game: you have 60 minutes to escape by solving enigmas, puzzles and games of logic, uncovering clues and combinations! 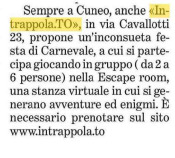 Copyright © 2015 - 2019 · All Rights Reserved · Itrap S.R.L.